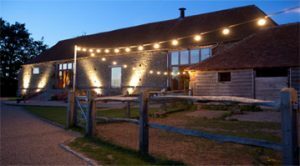 Grittenham Barn – Beautiful traditional stone Sussex barn with breath-taking views over the South Downs. 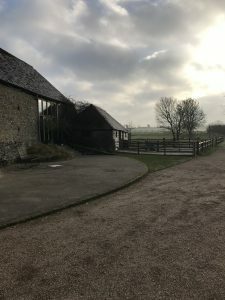 This morning, we at Anise Catering had the pleasure of being able to visit Grittenham Barn. The Barn is set in the heart of the West Sussex countryside between Petworth and Midhurst. The barn, farmhouse and outbuildings are Grade II listed and this beautiful property is set in stunning gardens with a lake, orchard and woodland. Rustic chic is a trend that is here to stay, and this is certainly something that Grittenham Barn has to offer! The best thing about barn weddings is that they can be as casual or as elegant as you can imagine. They bring the outdoors in and provide shelter and ambiance, the decor is up to you, allowing personal touches to really make your day yours! Barn weddings also offer a great transition from ceremony to reception, and give your guests plenty of space to boogie down on the dance floor. The Barn has been immaculately restored and features a stunning central fireplace. The barn is fully dedicated to your wedding from the day before to the morning after. The barn seats up to 120 people comfortably or 250 standing. You can hire a traditional oval marquee (30ft x 18ft) to set up in the courtyard creating space adjacent to the barn giving you shade on a hot day or shelter on a wet day. The barn is a beautiful place to have your ceremony with its high roof and traditional iron chandeliers which can be decorated with flowers. The Barn also has one very close by neighbour! 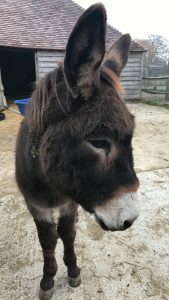 The residential donkeys and pigs create the perfect atmosphere for this gorgeous and rural setting! enough to take time out of her busy day to show us around the barn!